Mikey can leave ICU and go home with ICU/PICU nurses after a 16 month stay! Hi it’s Patrik Hutzel from INTENSIVE CARE AT HOME where we provide tailor made solutions for long-term ventilated Adults& Children with Tracheostomies and otherwise medically complex Patients by improving their Quality of life and where we also provide tailor made solutions to hospitals and Intensive Care Units, reducing the cost of an ICU bed by 50%, whilst providing Quality Care! CAN TPN (TOTAL PARENTERAL NUTRITION) BE GIVEN AT HOME? 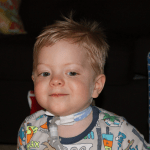 In this week’s blog I want to share Mikey’s story. 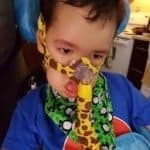 Mikey is a 17 month toddler who was born prematurely on August 17th 2017. Mikey was born prematurely on August 17th 2017 during emergency Caesarean-section. 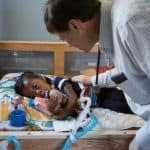 Because he was born prematurely, his lungs didn’t fully develop. 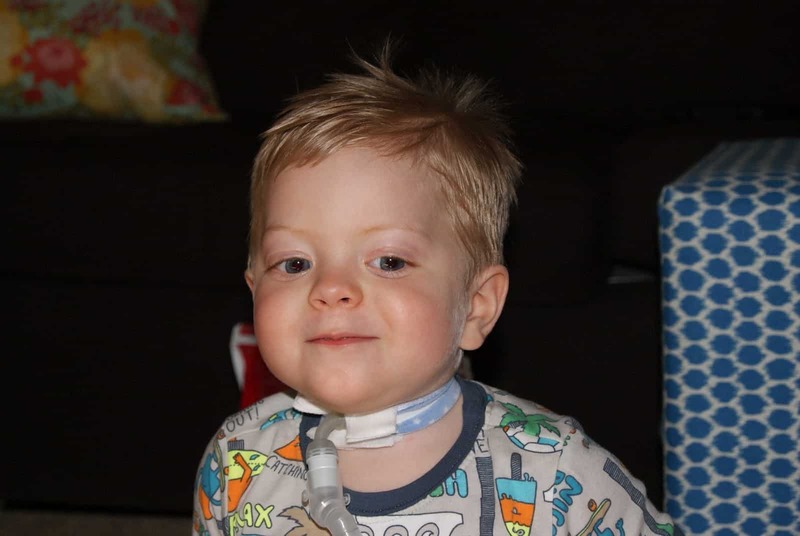 Mikey is now ventilator and tracheostomy dependent to keep his lungs open so they don’t collapse. Mikey is finally ready to go home after his 16 month ordeal in ICU, however he can only go home with critical care trained and ventilator and tracheostomy competent nurses! On the one hand Mikey’s parents Kristine and Mike Baron are delighted that their son can go home, however the lack of specialist services such as INTENSIVE CARE AT HOME in their area Buffalo NYC, USA and the lack of specialised ICU/PICU nurses in home care is an obstacle they have yet to overcome in order to take Mikey home! BUFFALO, N.Y. (WKBW) — Mikey Barone has almost never seen the outside of a hospital room. Technically he made the trip from Women and Children’s Hospital on Bryant Street to Oishei on the medical center campus after just a few weeks, but he’s been in the Intensive Care Unit ever since. He was born August 3, 2017 at just 1lb 10oz. “We were afraid that he wouldn’t be able to survive, I didn’t realize how common premature babies are,” said his father Mike Barone. But, he’s been a fighter ever since. The family, though, has an uphill battle. “We haven’t seen any insurance bills yet, they said don’t be surprised if you get one big one at the end,” his mother Kristine tells 7 Eyewitness News. The Barone’s say they know that a 16-month stint in the ICU won’t be cheap…and now the hospital staff is telling the family that Mikey will be able to go home if they can find at-home nursing care. The family has contacted all the local at-home nursing agencies, and they say they don’t have anyone they can send. The hospital tells them Mikey has at least 6 more weeks in the hospital, but there is an urgency to have someone lined up before he gets close to his discharge date. Kristine and Mike have started to interview candidates on their own and post the position on job sites around Western New York. 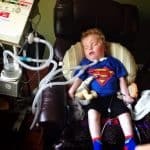 They’ll likely need help between 16-20 hours each day for Mikey, but the health care provider will have at least one parent at home at all times. If you want to find out how we can help you to get your loved one out of Intensive Care including palliative care or Long-term acute care (also nursing home) or if you find that you have insufficient support for your loved one at home on a ventilator, if you want to know how to get funding for our service or if you have any questions please send me an email to [email protected] or call on one of the numbers below. We are currently hiring ICU/PICU nurses for clients in the Melbourne metropolitan area and in South Gippsland/Victoria. We are an NDIS, TAC (Victoria) and DVA (Department of Veteran affairs) approved community service provider in Australia. We have also been part of the Royal Melbourne health accelerator program for innovative health care companies last year!